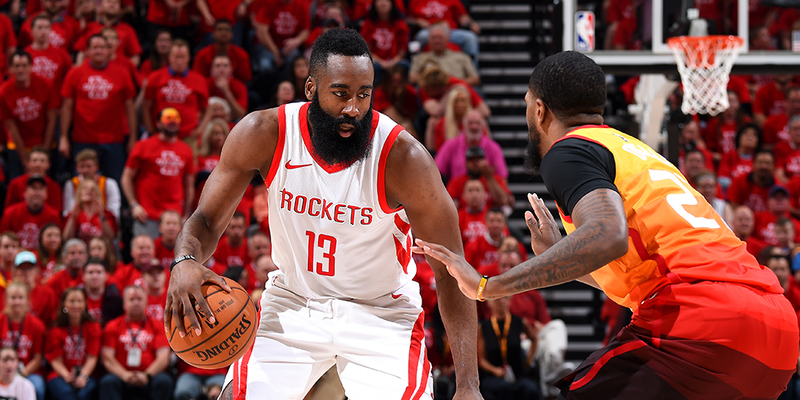 Early in the series, Utah's pick-and-roll defense flustered the Rockets. Contributor Ryan Nguyen examines Mike D'Antoni's pragmatic counter. Early in their series with Utah, the Jazz did a surprisingly good job of limiting Houston’s vaunted pick-and-roll attack. They followed the Spurs’ blueprint from San Antonio’s Texas triumph last year, dropping Rudy Gobert all the way back to the restricted area when defending ball screens. That goaded the Rockets into the midrange shots they so desperately try to avoid: Houston’s rate of short midrange shots almost doubled, up from 12% in the regular season to 20% of their shots in this series. D’Antoni wasn’t just going to fold his arms and let his offense be flustered by the same tactic for the second straight season. But he also didn’t try something particularly complicated. He did what you’d expect from a pragmatist. He did what the Rockets have done all year. He iso’d.